I'm 14 and I have gone to the John Casablancas Modeling School. It's so outrageous how they drag you into it, and make you feel that it's a bargain, you're going to be a star, and everything will be worth it. I graduated and so I automatically filled out papers to be with the affiliated agency called Model Talent Management (MTM). They act as if they are your friends and they say you have potential, but then you never get your feet wet in anything. It's been so long, and I haven't gotten a job. I feel bad for making my parents pay for all this —it hasn't worked out at all. I graduated five months ago. I have tried calling and asking, "Why haven't I gotten a job yet?" All they said was they would keep trying. She even said to me, "Don't give up on us." What should I do? Do you think there's any hope for me to get feed back from them? Is your contract with MTM exclusive? I don't know if you can expect to get modeling work through MTM, but if your contract is not exclusive, you should consider finding additional or alternate representation. Ask MTM to give you their success rate. Once you find out the probability you will get work modeling through their agency, you can know what to expect, and possibly decide to look for work elsewhere. If a modeling agency cannot or does not get you work, it is unfair for them to forbid you from seeking work through another agency. Still, a contract is a contract, so you need to find out if it is exclusive. If it is not, you could visit local modeling agencies or send good snapshots to agencies in larger markets, after calling or visiting their websites to find out their focus/requirements. Whatever you do, don't let one unsatisfactory experience with an agency drag you down or make you forget all your modeling aspirations. I am writing to you about John Casablancas Modeling and Career Center. I went to JC when I was 13 and it did a lot of good for me. I learned how to do makeup, runway, print, and much more. Personally, I don't believe it's a scam. Yeah, it may cost a lot of money, but if you have that money, and you want to become a model, school does help. It's a good school; however, they don't find you jobs. John Casablancas works with MTM agency, and they may find you jobs if you make a composite card with them, but don't expect much from JC. For the woman that was talking about how much their photographer costs, news flash, there are much more expensive ones out there. My pictures came out great! Both of the photographers that I did a shoot with took time, helped me with poses, and really taught me about print work. The photo shoots are part of the learning experience. Well, that's all I'm going to say about John Casablancas. I was with John Casablancas Modeling and Career Center in the year 2000. I'm 16 now, but I was 14 at the time. I graduated from their school in December. I really wanted to do modeling, but I knew I would only be able to do petite print, because I'm only 5'4." I was fine with that, but I wasn't sure if I should go back, because they told us that we had to pay more money to get more pictures. I had noticed they paid a lot of attention to one girl in our class. The "agent" talked to her once in a while (not in private, she went ahead and talked in the waiting room) about sending pictures to Elite, and asked if she was interested in signing a contract with them. I thought that I didn't have potential, because if I did, they would've already noticed me. It looked like a dead end, so I went to see John Robert Powers. What John Robert Powers offered me sounded like a really great offer. I would get to go to more classes, learn more about makeup, pictures, and, best of all, I was going to be able to meet with agents every so often while I was with them, and I would even get to model some clothes for some "big stores." All this was great, but they needed money. More money for my parents to pay. I didn't want to put my parents through paying more money, so I never went back. I thought I had gotten modeling out of my system, but I'm realizing that I want to do this, even if it's only print modeling. I love taking pictures and hair and makeup! What should I do? This is my dream. Are there any GOOD or DECENT modeling agencies in or around Phoenix? Should I go to JRP? What is the difference between John Robert Powers and John Casablancas? They are both modeling schools, they both charge up front, and they both make money even if the models don't work, and they both charge for classes even though most agencies teach their models FREE! John Casablancas used to be a significant player in the modeling industry. He was the son of a banker and a model, and he helped the bank accounts of a lot of models. He boosted their earnings by about 3x in a short period of time. He was in it for the money, and he was good at making money. Then he started a modeling school to make more money. But the huge difference between the modeling school he started and the modeling agency he started was this: with the agency he was paid after the models worked, and with the school he was paid before the models worked. A huge conflict of interest. There are other things modeling agencies have done in the past which led to laws being created to check conflicts of interest. In some states, for example, an agency cannot charge registration fees or charge for advertising. It doesn't specifically say you cannot charge for classes, but there is no difference in principle to the extent there is a conflict of interest and aspiring models pay up front and even if they do not earn anything through the agency. At 5'4" you are the average height of American women, even though this could be considered "petite." The thing is because so many American women are this height, you face a lot more competition. Keep that in mind as you search for an agency. There are probably a lot of women of your age and your height who want to be models. John Robert Powers and John Casablancas may accept anyone at any height because students are required to pay up front. Are their standards the same as modeling agencies? Cindy Crawford has said: "Modeling schools" are another option, but they are also misnamed; they should be called finishing schools. They can't guarantee you will become a model and they won't turn anyone down because you pay a fee. For example, they will accept a girl who is 5' 1" who will probably only be able to do petites. If you want to learn poise, how to apply makeup, or walk on a runway, then modeling schools are a good option. But just know what you are getting." You sound as if you were already taught about makeup and how to walk and your interest is not in becoming charming as much as getting work as a model and you don't want your parents to pay any more. Therefore you should seriously consider avoiding anyone and anything that costs you money up front. At reputable agencies you will not have to pay fees up front. Check out the Questions to Ask Modeling Agencies so you can avoid becoming a victim of modeling scams. In the Phoenix area make sure you shop around. Most of the people who end up victims of modeling scams did not shop around. Modeling scams are often the most expensive thing going. I was with John Casablancas in Brookfield, Wisconsin. Their agency is called MTM. They say the only way to get into their agency is through the school. So I attended their school. The pictures they had taken were studio, not fashion photography. They told us about all the go-sees we'd go to, etc. After "graduation," we had to go in to sign a contract and talk with the agent LESLIE. She was so nice. She told me to call her if I even lost an inch (I had gained a bit of weight), and that I was definitely marketable. She discussed exercise and diet options with me. All seemed okay. Just as I was about to call her, she called me about an audition for a local fashion show. I went and waited almost two hours to speak with her afterwards. Another girl had driven for two hours so Leslie could look over her new pictures. She glanced at them finally, and very briefly, and said something vague, and started talking about "next time" photo shoot. She spent just minutes with her and dismissed her. I asked about my weight and told her my changes. She came right out and said she didn't believe me! All of this took place not in her office, but in the WAITING ROOM! She then told me that she only called me about the audition because she thought they'd be looking for girls with more of a figure, and that I should maybe gain a couple sizes and be a plus model! She went on and on about how so few models were working lately, and how horrible the modeling business was, etc., etc. I never went back nor called and she never called me. Aren't agents supposed to try and get you work? They just told us to call in every once in a while, or drop in to see the bulletin board. I really hope they close down or that someone becomes aware of how poorly the office is run. After all that I was frustrated and close to crying. OTM came to Milwaukee and I signed with them. They said we could get jobs while waiting for our comp cards or photo shoot. They told us that they highly recommended using their photographer, and only took our picture for their file if we signed with theirs. I had pics but they made it sound like it was a bad idea. When the people who wanted their own photographers left the room, we were told that none of them would probably get any work. I had the photo shoot in July. There were just two of us on that day at that time. The makeup artist/hair artist/clothes stylist GEMMA or JEMMA brought along her boyfriend, and all they did was make out, and sit all over each other, usually in the other room's bed. I thought our looks were supposed to be different, but she kept picking out pink for me. My last outfit I liked (I PICKED IT OUT), and she did a really nice makeup job, but the atmosphere was soooo unprofessional. They were talking about models and photographers... it's now the end of August, and we are supposed to receive mail about when they come to show us our picture slides in August. I am wondering if I should call them? And when they finally come, should I tell the agents how the photo situation was, and express my concerns over jobs and the comp cards? Should I have my comp cards done somewhere else? Two more things... I was considering going to Chicago and visiting agencies all day, but usually agencies want you to mail them pics, etc. Will they even allow walk-ins? Face National Models and Talent is going to be here this week. I believe and I was planning on going and seeing what happens with the pledge of giving them NO money. Please feel free to edit my email to post it as you wish or separate it for different sections, etc., etc. P.S. Can you recommend a place near to Milwaukee, somewhere in WI, or Chicago? I don't want to shell out any more money I don't have for nothing. There are some people who might say you have been the victim of four modeling scams —and almost five! Have you read the complaints about John Casablancas Modeling School, MTM, OTM, OTG, and Face National Models and Talent? Yes, you are right, agents are supposed to find you work. You're not dumb; you're just not being aggressive. You seem to have already noticed the problems, but you have to put your foot down. There is nothing intrinsically different about OTM and Face National Models and Talent. The complaints are the same. The practices are the same. The work they supposedly get is the same (low-end, promotional). They are both on this traveling-road-show-photography kick. It is possible they make their money from photos, not modeling commissions. Do you have any ideas how few/many of their models get work or earn more than they paid for comp cards? You said: "They told us that they highly recommended using their photographer, and only took our picture for their file if we signed with theirs. I had pics but they made it sound like it was a bad idea. When the people who wanted their own photographers left the room, we were told that none of them would probably get any work." Why do you think that was? Because they make their money from photos, not commissions? MODELING AGENCIES ARE NOT SUPPOSED TO MAKE A CENT FROM PHOTOGRAPHY! IT'S A TOTAL [BLEEP] CONFLICT OF INTEREST! Can you get your money back from OTM if you already paid, or at least not pay them another cent? If you read the complaints about Face National and still want to go, make sure you take the list of questions to ask their greasy, long-haired sales rep; it's letter #38. MODELS HAVE TO START ASKING THE SERIOUS QUESTIONS. TAKE THE BULL BY THE HORNS AND CONTROL YOUR DESTINY. DON'T LET THE PARASITES WASTE YOUR TIME AND MONEY! As far as Milwaukee goes, you're on the right track. Why waste your time and money on all these questionable people from out of town (OTM, OTG, FACE) if you can go directly to a modeling agency in town? I noticed you gave advice to a certain "G.W." about respectable modeling agencies in Wisconsin. You cited Arlene Wilson as an agency which operates in Wisconsin, which is accurate, although it is based in Chicago, Illinois. Our agency, the Dylan Scott Agency, is a full-service agency which is based in Madison, Wisconsin, and has operated for 10 years. We represent talent for television, film, and print, and have placed qualified individuals in Tokyo, Paris, New York, Miami, Los Angeles, Milan, and countless other places for print modeling. Interested individuals may contact us at www.dylanscott.com where we advise on how to become a model or talent listed with our agency. We are linked to the Wisconsin Film Office, and have numerous contacts throughout the film, television, and modeling industries. P.S. Do yourself a favor and read up on the modeling scams out there so you're ready for the real deal. 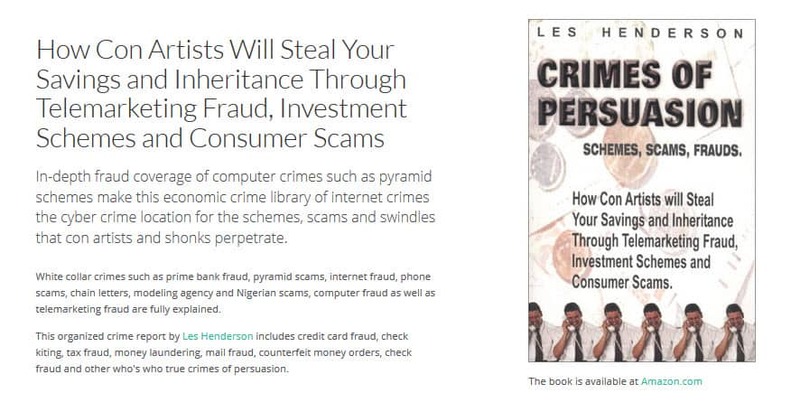 Read the Guide — after all you've been through, possibly the most scams of anyone who has written so far, I'd hate to see you become the victim of another modeling scam!